Mr. V.R. 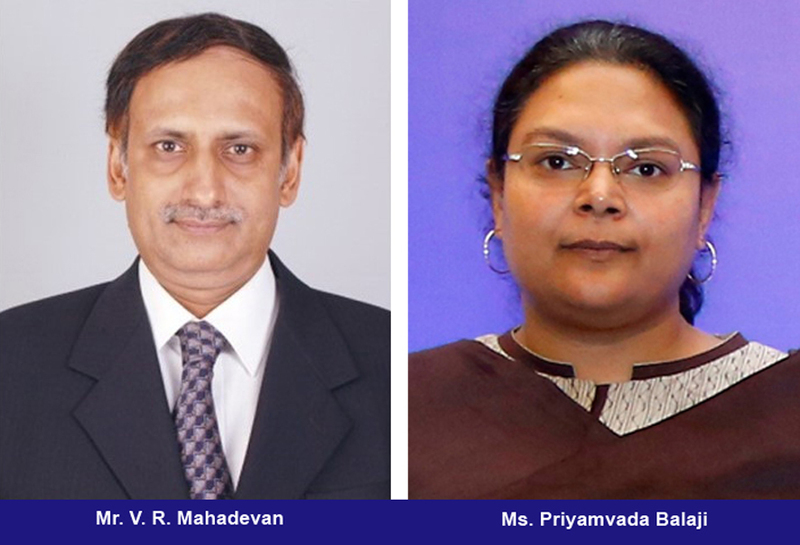 Mahadevan, Joint Managing Director, BGR Energy Systems Ltd., and Ms. Priyamvada Balaji, Director, Lucas TVS Ltd., Chennai, have been nominated as the Chairman and Vice Chairperson respectively of the CII Chennai Zonal Council for 2018-19. Mr. Mahadevan is an active member of CII and was the Vice Chairman of the CII Chennai Zonal Council. He was the convenor of the Tamil Nadu Energy & Environment Panel for 2017-18 and also the Co-Chairman of the CII-SR Task Force on Renewable Energy & Power for 2016-17. A Graduate in Electrical Engineering, his professional experience is diverse, covering Marketing (Domestic & Overseas), Engineering, Production, Project Management, Research & Development and Identifying New Businesses. He has travelled extensively to overseas countries and was instrumental in forging partnerships with top global technology companies. Ms. Priyamvada Balaji, who has a Post Graduate Diploma in Management from IIM, Ahmedabad, has been closely associated with the CII. She was an elected member of the Tamil Nadu State Council for 2016-17 and was the convenor of the CII Tamil Nadu Education, Skills and Entrepreneurship Panel for 2016-17. Lucas TVS Ltd. of the TVS Group is a leader in the Indian automotive electricals market with plants in several locations manufacturing a wide variety of components for both OE and after-market applications. The company has received many quality awards, the most notable being the Deming Grand Prize.